Politicians might talk political tactics and leave the public bored, but a real contest is brewing. In media studios, food courts, street stalls, and offices, I watch Malaysian political observers and insiders perform the same routine. First, they sigh and look bored with the coming general election, due sometime before August. They talk of the lack of debate and point to a group of young people on Twitter, now called the #undirosak movement after politicians and the media amplified their voices, who call on voters to protest by lodging spoiled ballot papers. This went on all last week. 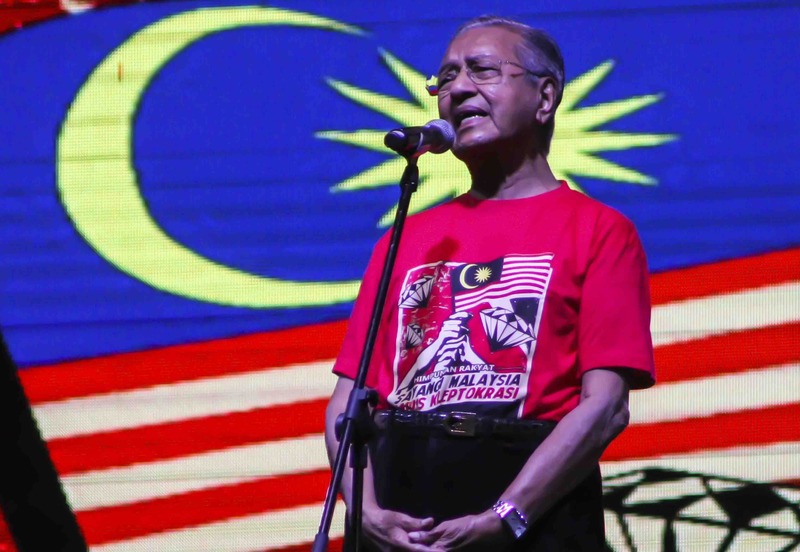 Some are annoyed that years spent building an electoral alternative to the Barisan Nasional government now appear wasted, after 92-year-old former Prime Minister Mahathir Mohamad changed sides and seemingly captured the opposition. Negotiations continue, but his party now seems set to run the largest number of candidates in the electoral coalition called the Pakatan Harapan. Then they begin recounting the various futures the election result might bring, becoming increasingly animated as they go on. There are as many different versions of this conversation as there are speakers, but in short, seats might fall; voter blocs might split or swing; states might change governments; voters on either side may or may not come out to vote; internal faction fights might cause leadership spills; royal families might intervene, or perhaps back the wrong team; and the Borneo states might side with whichever grouping wins the most seats on the Peninsula. The talk sometimes becomes darker, even conspiratorial, including speculation about visits by Prime Minister Najib Razak and his Deputy Ahmad Zahid Hamidi to jailed opposition leader Anwar Ibrahim. 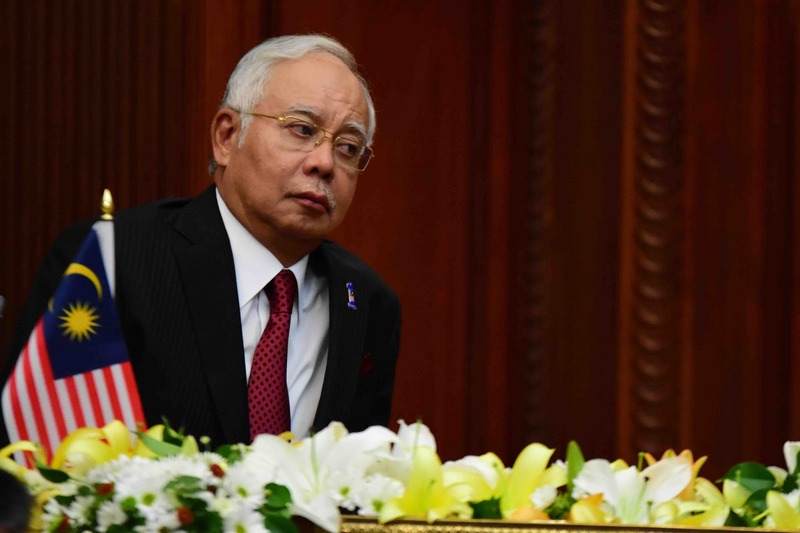 Are government people working on a Plan B should Najib’s majority narrow? What will Najib be willing to offer PAS – Malaysia’s main Islamist party – if he’s forced to rely on their support to win the election? Seats in cabinet? Control of the Tabung Haji, the fund in which Muslim would-be pilgrims save money to travel to Mecca on the Haj? Then, with a sigh, follows the reflection that perhaps messages in this election are too confusing, too tactical, and that everyone should ease up in case party members and supporters decide to vote against their preferred parties in disgust and anger. The speaker suddenly stops, unable to think of any more possibilities, before finally admitting that the whole thing is incredibly exciting. The room fills with electricity generated, it seems, by minds boggling at the possibilities, and then the hedging begins – anything is possible. Finally comes exhaustion, then a return to bored equanimity. “It’s a gamble, lah. Definitely a gamble. For both sides.” I heard these words, or similar, repeated many times. Imagine this process repeated by voters, donors, activists, supporters, and party functionaries across the nation. It looks, sounds, and feels as though the election is boring everyone to tears. 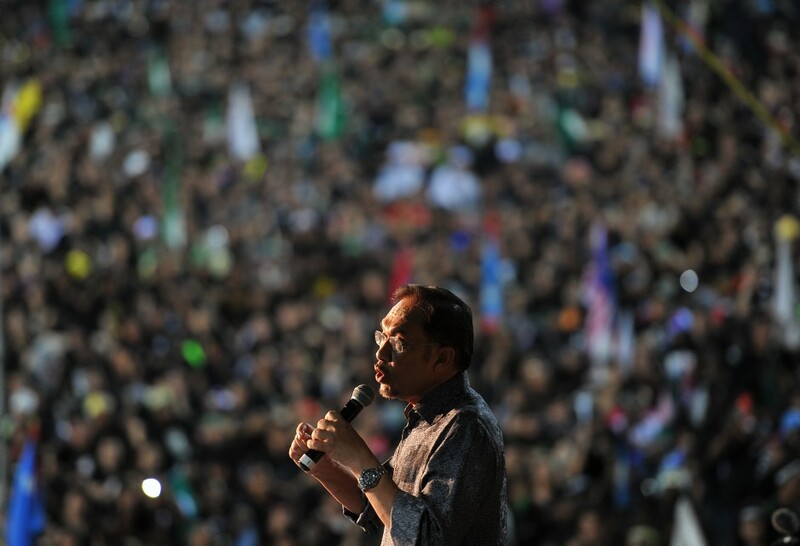 Since the high drama of the 2013 election – when the opposition parties, then led by Anwar, won the popular vote but failed to win government – discussion in and about Malaysia has focused on tactics and financial scandals, none of which has yielded any change. What’s been missing is public policy debate, or any form of storytelling about the nation’s post-2013 trajectory. Although everyone’s talking about politics, it seems this diverse and sophisticated electorate has lost its appetite for it. “What can they do?”, one person said to me. “They are focused on the price of bawang (onions).” It was not surprising to hear this in the same week that Ameer Ali bin Mydin, Managing Director of the Mydin hypermarket chain, told Malaysia’s BFM Radio that while GDP numbers were good, consumers lack cash to spend on groceries that are rising in price. While part of this rise is attributed by the opposition parties to the government’s new Goods and Services Tax, Mahathir has pointed out that growing numbers of graduates are driving for Uber, and its local rival Grab, instead of working in their fields of study. If the election is viewed only through the prism of polling, where the numbers are with the government, there is no contest. Yet if conversations I’ve had are any guide, there is, under this surface boredom, a quiet current of contestation circulating via word of mouth and on the encrypted WhatsApp. Two people this week handed me their phones to show me what’s being sent via WhatsApp groups. One story, in English, tells of a PRC Chinese who robbed a fellow air passenger’s hand luggage; only after a confrontation, when airline staff refused to help, did the missing cash fall out of its hiding place. The other video, in Malay, shows Mahathir telling viewers he will not be with us for much longer, so Malaysians must not sell the nation into new colonial servitude only for short-term gain. It’s a message that plainly alludes to China, the Barisan government and the 1MDB financial scandal. No matter your preferred language, the message is that the nation and its people are in grave danger from China and, by implication, the Malaysian authorities. Opposition big data firm Invoke says it’s monitoring how and where to micro-target its messages, using Facebook, WhatsApp, and a bus with founder and opposition politician Rafizi Ramli’s face on it. Rafizi has been found guilty of leaking official secrets and sentenced to a prison term, so will not be able to contest. Nevertheless, he has declared that he will now be freed up to help guide his colleagues’ campaigns using his trove of data. Yet Barisan, too, is using social media, and sensing that its voter “fixed deposits” – Malay Muslim civil servants, women, rural voters and pensioners – are increasingly exposed to opposition messaging. Both sides have engaged international consultants, and each can deduce what the other is doing, can sense its weak spots being hit while its opponents move against it, protected by WhatsApp’s encryption. A concerned younger functionary told me that the Barisan team includes people so used to their lives of power that they may not be able to turn their machine around fast enough to respond. I was reminded of states whose disciplined armies are nevertheless vulnerable to sudden, silent hit-and-run attacks, despite one or two perceptive generals recognising the risks. Boredom speaks to temporary exhaustion from processing all the possibilities, sifting through the confusing messages and jammed signals, deciphering the psy-war between the two competing forces. As the election draws nearer, messages will likely become sharper and clearer, while election spending ramps up and Malaysians’ energy returns. Just this week the extent of Barisan's electoral discomfort suddenly revealed itself, when a crowd of government supporters prevented opposition leader Lim Kit Siang from speaking in Johor Bahru. Make no mistake. There is a contest brewing. This week's links include Australia's warning on UK visa changes, the plight of undocumented workers in the US and data on the Eastern Mediterranean Route.